We don’t know what it is about sand that strikes fear in the hearts of most amateur golfers, but if you’re one of those players that tenses up with a sand wedge in your hands, we’re here to put your mind at ease. Bunker shots don’t have to be as scary as they seem; they can actually present an exciting challenge if you attack them with the right mindset and the proper technique. 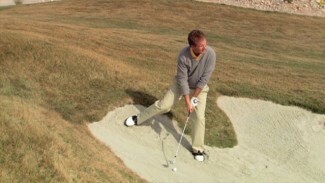 If you can pick out your target and put a good swing on it, you can navigate bunker shots like a pro. In this lesson, we teach you some of our favorite expert tips and tricks for making bunker shots easy so you can relax and get your sand saves closer to the hole. Ask the game’s greatest sand trap escape artists about their technique for bunker shots, and they’ll likely all tell you something slightly different. That’s because there are a number of ways to attack bunker shots, from the stance you choose to the type of swing path you utilize to get the ball up and out. 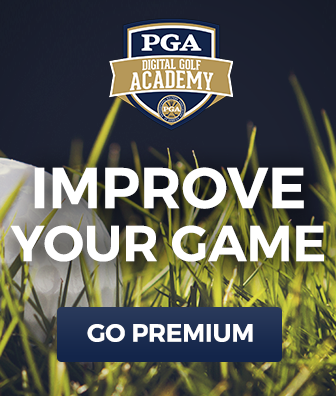 Every golfer does it in their own way, but there are a few fundamentals that remain constant. To help you adopt your own best technique, some of our PGA Professionals talk about their keys to success from the sand, and demonstrate how to hit bunker shots. First, Matt Kluck teaches you about the importance of a well-structured posture and settled but not buried feet. 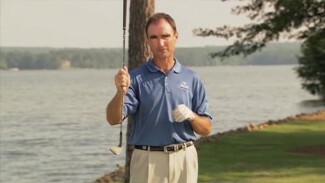 He shows the proper way to hinge and rotate your wrists to get the ball up and down quickly, and introduces an easy way to ensure you hit the sand before the ball. Then Mike Bender shows you what it means to utilize a V-shaped swing for bunker shots rather than the typical U-shaped swing you’d use for a normal shot from the fairway. He also walks you through a simple exercise called the Windmill Drill, which helps to train your wrists to hinge at the highest points of your swing during bunker shots. 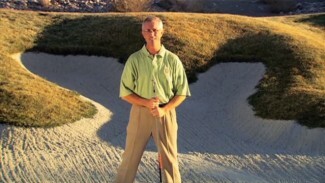 Later, to demonstrate our point that there are a range of methods for attacking bunker shots, Brad Redding introduces an alternative method that moves your wrists back in your stance to add loft to the face and better expose the bounce of the clubhead. 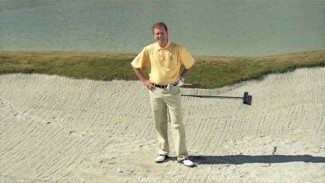 And finally, Jay Overton teaches you the 4 points of proper sand shots that he learned from one of the all time experts on bunker shots. If you practice these tips from the masters, you’ll have no trouble navigating bunker shots in your next round. Heck, you might even enjoy them!